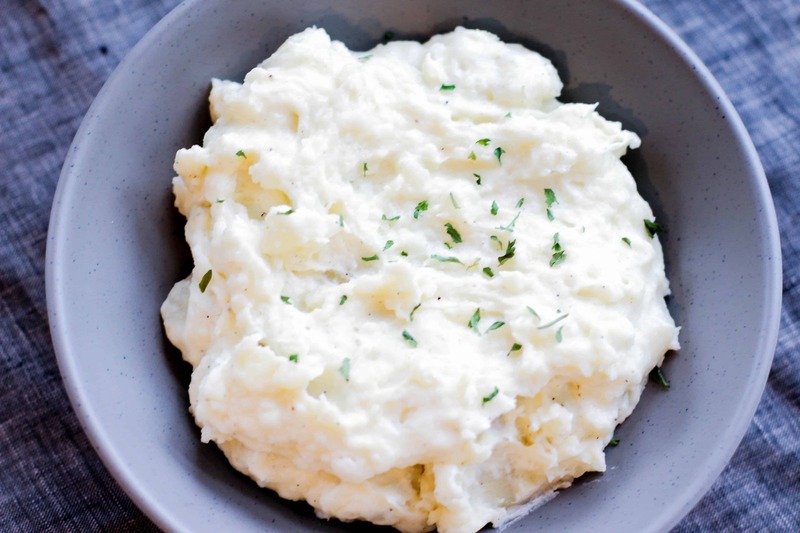 Mashed potatoes are probably my favorite side dish to ever exist. When I was a kid, I would impatiently asked my mom, “What’s for dinner?” the second I walked in the door from school. 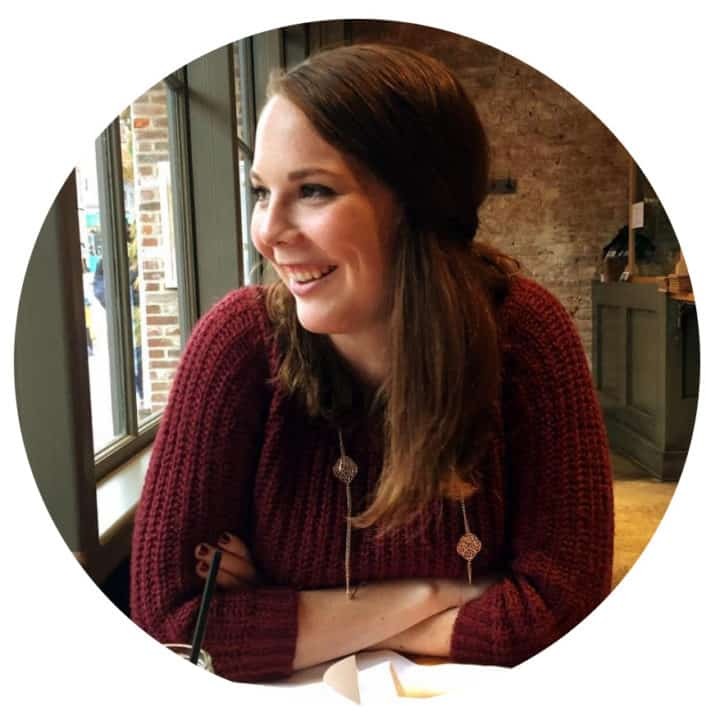 The days she responded with mashed potatoes were the best days ever. 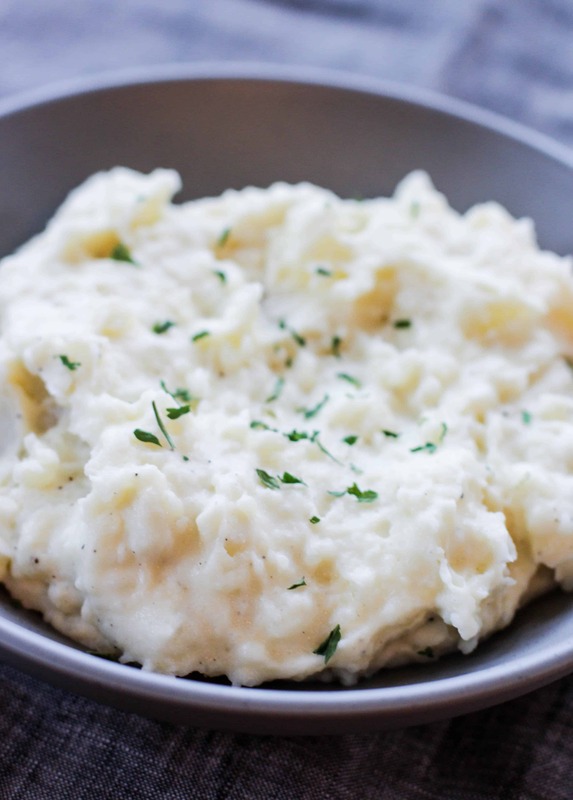 I always grew up on super smooth mashed potatoes slathered in gravy, which, don’t get me wrong, are still amazing. I finally decided to hand mash the potatoes a few years ago when I made them for Thanksgiving and I’ve never looked back. The hand mashing came out of necessity during the mad rush of prepping for Thanksgiving one year. 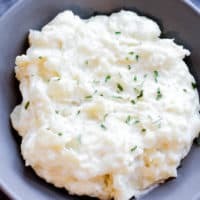 I was worried that the chunks would make the potatoes dry and starchy, but it turned out so good with the combination of chunks and creamy potatoes. The garlic totally pulls it all together. I will say I cheated and used garlic powder just to make it more after work friendly. If you have time and oven space, I definitely recommend trying to roast a few cloves of garlic first and incorporate those in just to layer in more flavor. Just to caveat here. I am not claiming these are healthy. At all. Sometimes you just need to throw in a stick of butter AND a block of cream cheese and let those swim around in some heavy cream to make you and your potatoes just a little more happy. 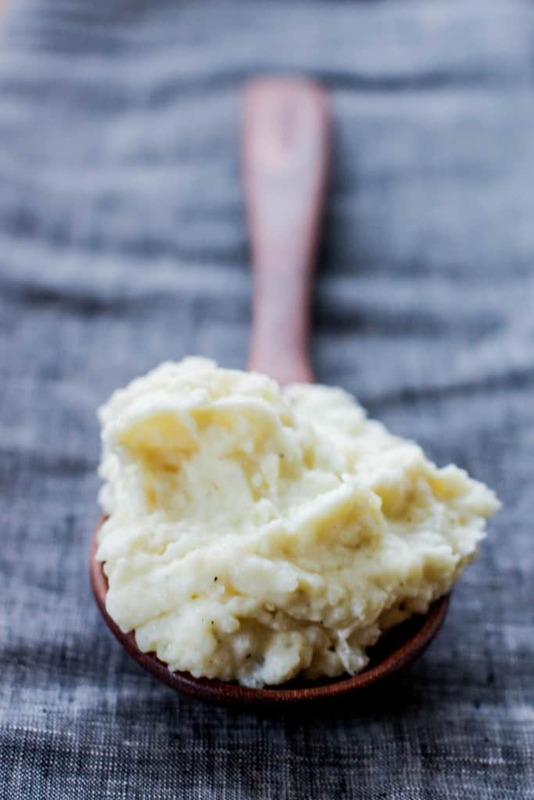 An easy way to make creamy hand mashed garlic potatoes. Put the peeled and cut potatoes into a large pot and cover with water. Bring to a boil and lower the heat to medium-high until potatoes are fork tender, about 20-25 minutes. Use a colander to drain the potatoes and put potatoes back into the pot. Put the pot back on low heat and use a fork to stir the potatoes around until most of the steam is gone. Remove from heat. Add butter and continue to hand mash until butter is melted. Add in cream cheese and heavy cream and mix in until well combined. Add in garlic powder, salt, and pepper and mix thoroughly. Use a potato masher if the potatoes aren't fully mashed.